Expansion includes 20,000-square-foot addition that can be divided into nine separate spaces. Stevensville, Md. 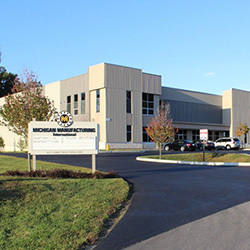 October 21, 2015— Michigan Manufacturing International (MMI) announced today that the company recently completed a 20,000-square-foot addition to its headquarters in Stevensville. This was done in preparation for the future growth of MMI as well as to accommodate tenants who are seeking affordable, high-quality workspaces in a new facility that also has a view of the Chesapeake Bay.